I am having a hard time getting any creative projects done during this holiday season, in between work, shoveling, baking and wrapping presents. 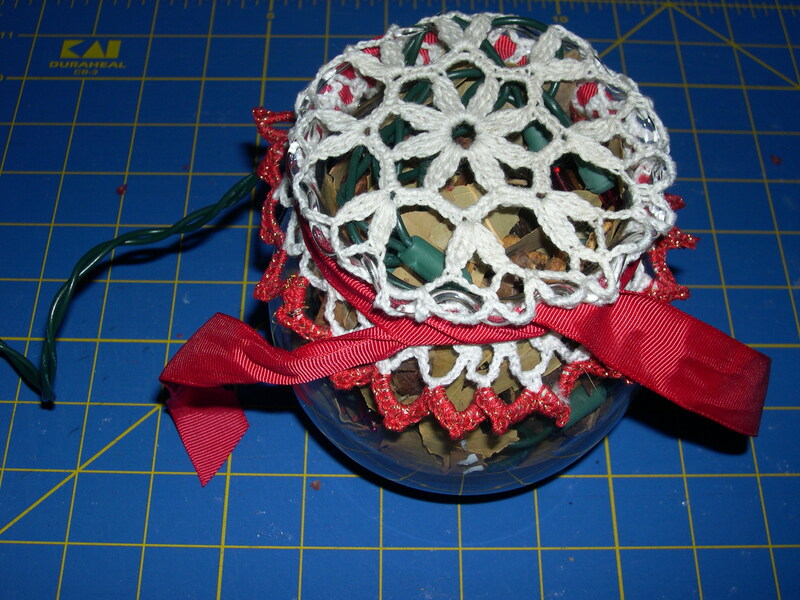 I do have a Christmas nightlight tutorial to share with you today. I received this nightlight from my friend Tami in Colorado a few years ago. We use it so much that I finally had to replace the lights this past weekend. 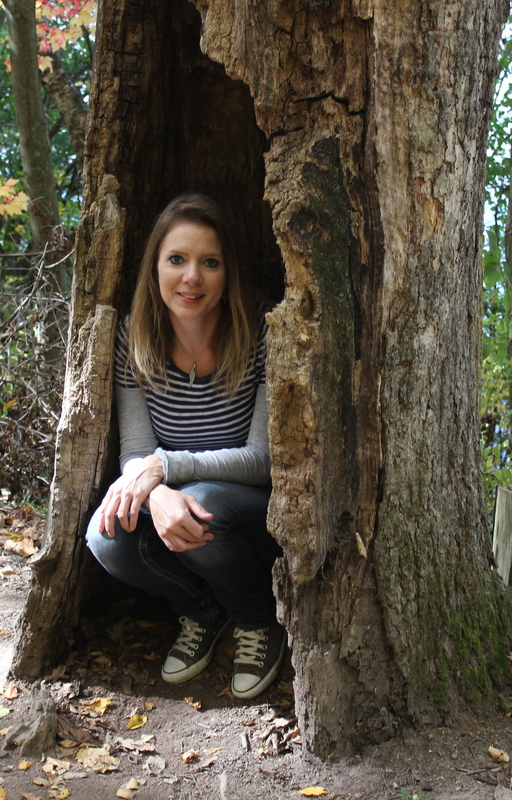 I thought it would be fun to show you how to make one for yourself. 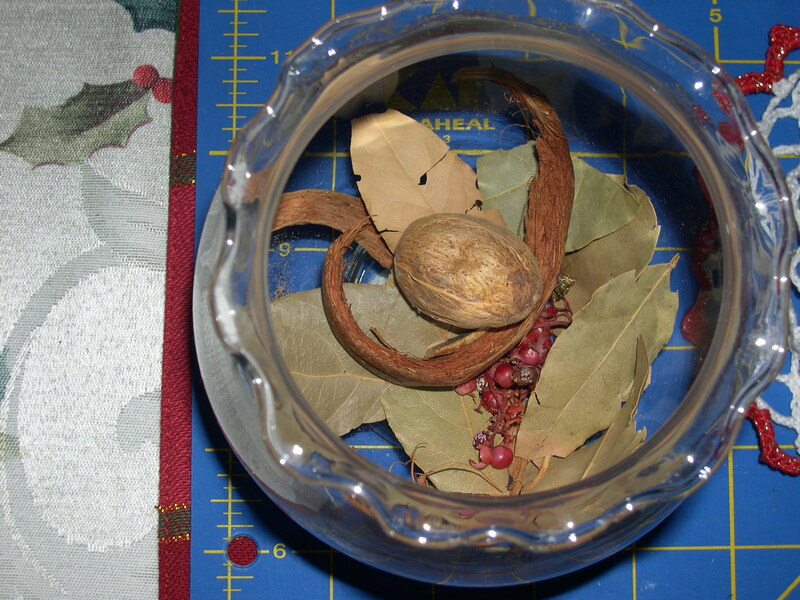 Next, put a small handful of potpourri in the bottom of the bowl. 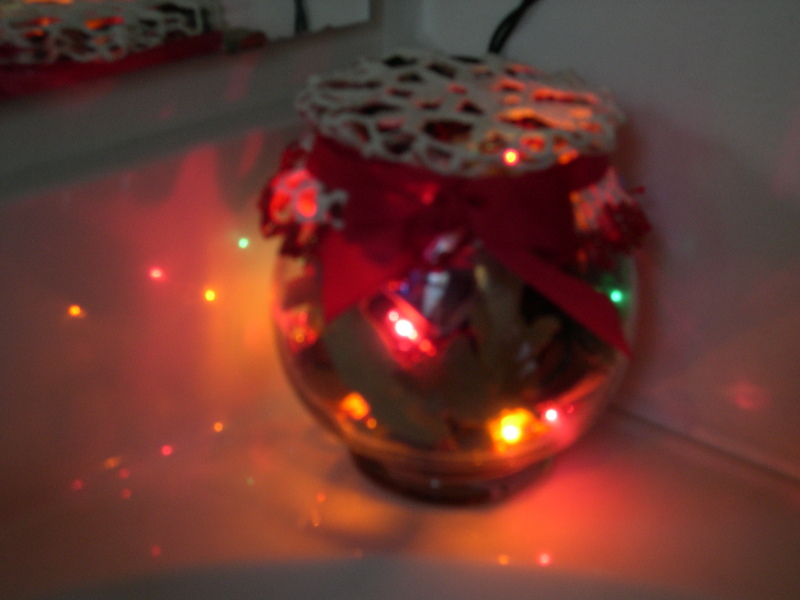 Place about 5 lights inside the bowl, layering them over the potpourri. 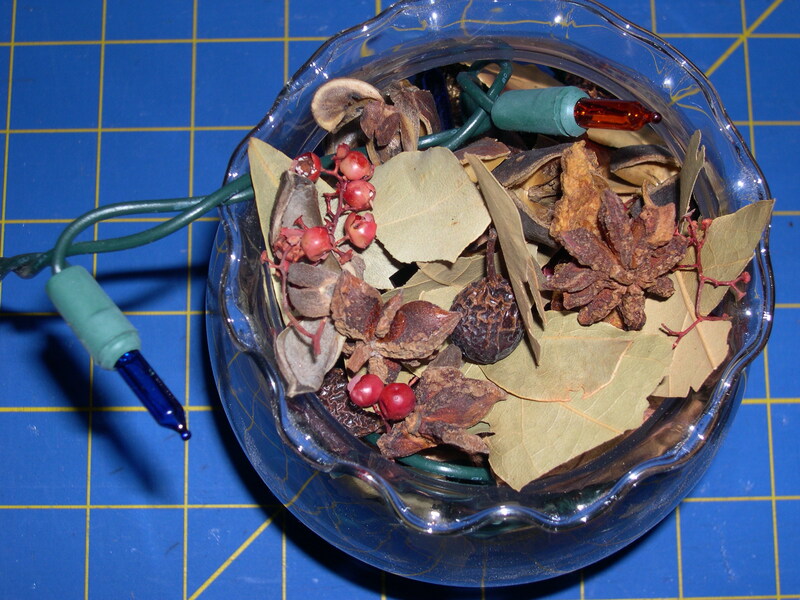 Repeat these layers of potpourri and lights until all the lights are inside the bowl. If you have extra potpourri, gently press it into the bowl. 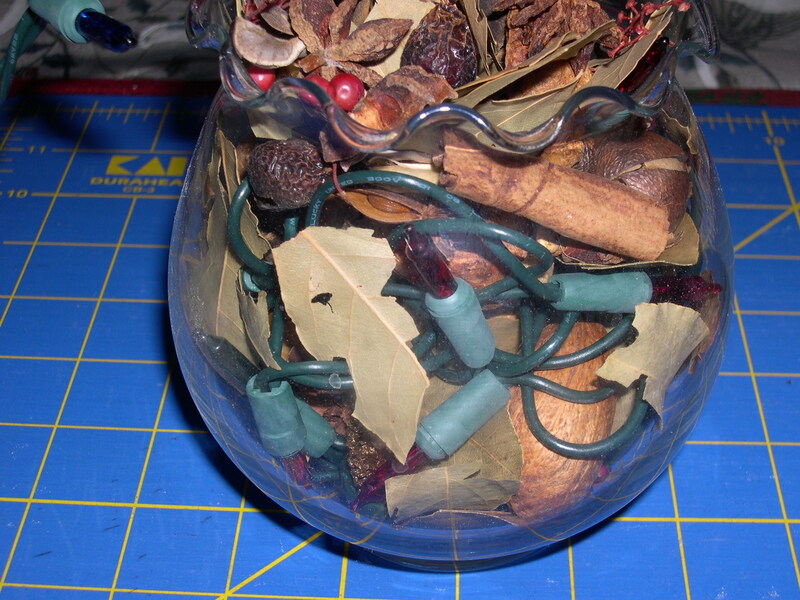 You don’t want to break any of the lights, but you can break the potpourri since it’s just leaves and dried berries. 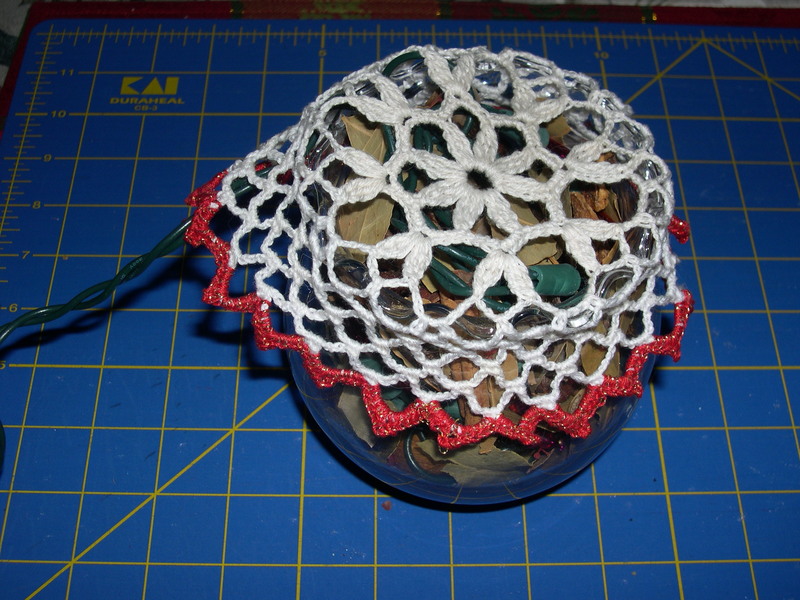 Place the doily over the top of the bowl, leaving the end of the light strand hanging out the back. Wrap the ribbon around the rim of the bowl, tying it into a pretty bow. Pull the edges of the doily down so the top fits nice and snug. Find the right corner for your nightlight, plug it in and enjoy. The slight heat from the lights will bring out the potpourri fragrance. The flavor I used was cinnamon, which adds such a nice subtle scent to a room. Hope you try today’s tutorial for your Christmas decorating! Cute! Thanks for this tutorial…love it! What a great idea Terri! I love it, I’m going to go and find a bowl right now! 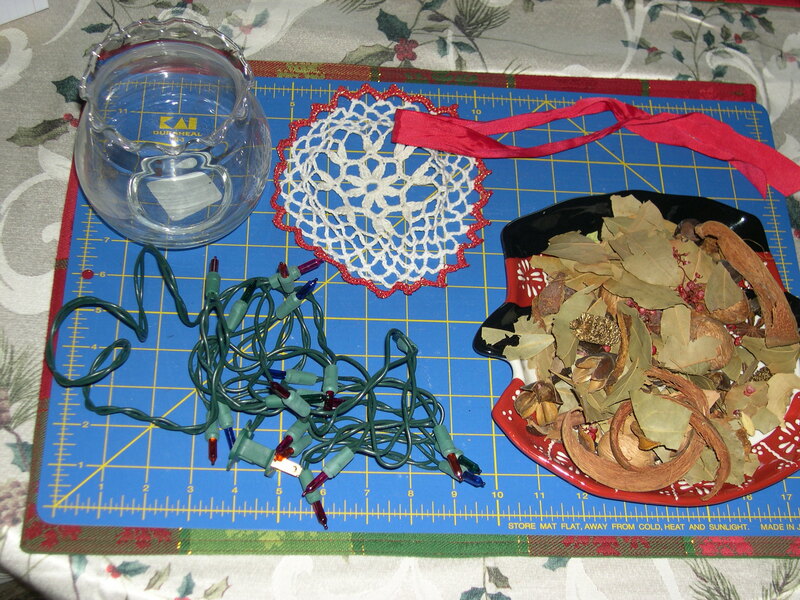 I have tons of potpourri, and I have many lights and doilies, how cute! And a great project that most people will have things around the house to make it with! Thanks for the tutorial. What a great idea!! I will have to make one. I have everything except the potpourri. Very clever that the heat from the lights gives off the scent of the potourri. I heard on the radio this morning when I was driving to work that your state got the worst of the storm. I hope you didn’t get even more snow. Be safe and take care!! How cute! I’m going to make one~so festive! Oh, Terri! How dare you tempt me with yet another great idea when time is so darn short!! I am sewing now with shaking, anxious hands, all the while wondering how long the line at the Post Office is. Sew Mama Sew had better start selling Time in hourly increments! 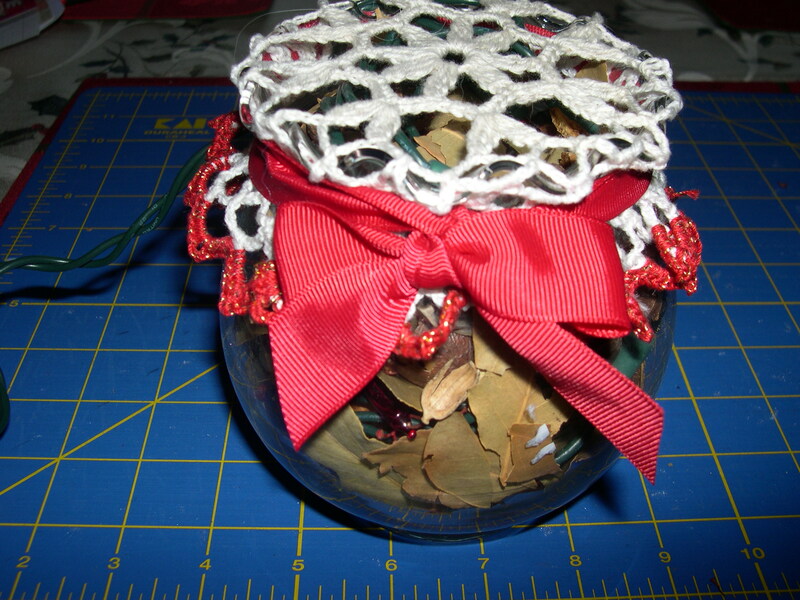 Your ornament swap next July will be the best reminder ever to Get Started! Have a warm and safe week!! Great idea! I love anything that sparkles, shines and lights up this time of year! 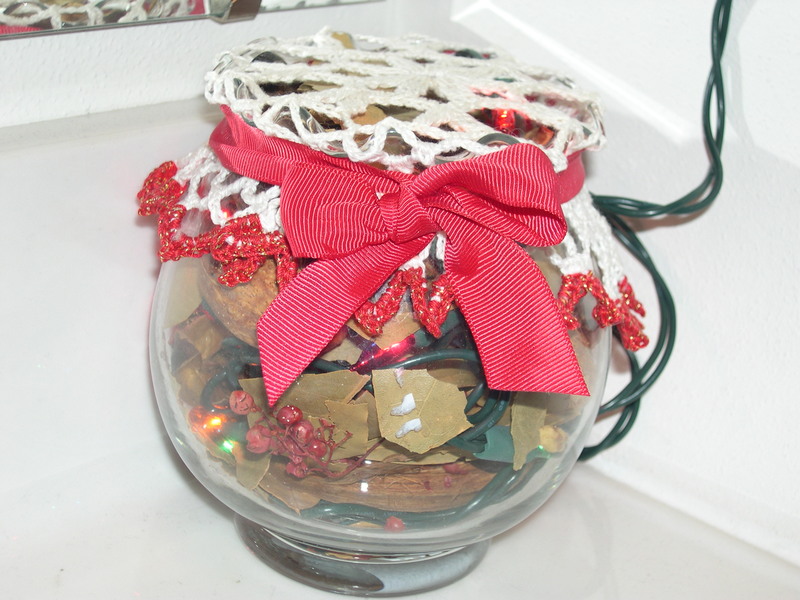 Great idea…I’m going to have to try this…I would never have thought to put the lights in the jar! I love it! Can’t wait to make one!